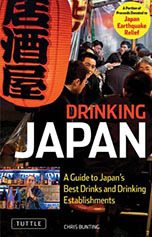 "Drinking Japan," written by Nonjatta's Chris Bunting, was the second best wine tourism book published in 2011 according to the judges of the Gourmand Awards, a global food book prize in which about 8,000 books are entered every year. The book is is a general guide to Japanese drinking culture, rather than specifically a wine book, but I think the judges at the Gourmand Awards interpret "wine" quite broadly. 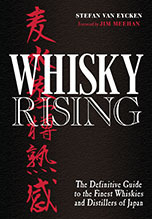 It covers sake, shochu, awamori, beer, wine, and Japanese whisky, giving details of the history and current culture of those drinks and recommendations on places to enjoy them in dedicated chapters. The winner of the wine tourism prize was "Turismo del Vino" by F. Xavier Medina. "Drinking Japan" won the Japan category. Congratulations, this is a terrific achievement!